The Dow Chemical Company is the world’s leading producer of ethylene-oxide-based glycol ethers, both in product-line breadth and total volume produced. Most importantly, Dow is the world’s leading producer of many of the principal raw materials used to manufacture glycol ethers: ethanol, n-propanol, n-butanol and ethylene oxide.Glycol ethers are characterized by their excellent solvency, chemical stability and compatibility with water and a number of organic solvents. The dual functionality present in the CELLOSOLVE and CARBITOL™ solvents and the alkoxytriglycol glycol ethers accounts for their unique solvency properties. 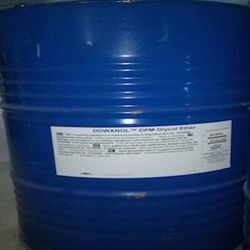 Dowanol DPM glycol ether is a mid-to-slow evaporating solvent. This hydrophilic solvent has 100% water solubility and is ideally suited as a coupling agent in a wide range of solvent systems. Dowanol DPM glycol ether has a higher flash point than Dowanol DPM glycol ether making it easier to handle, store, and ship. The active solvent for solvent-based coatings. Butyl CELLOSOLVE™ glycol ether is a fast-evaporating glycol ether with an excellentbalance of hydrophilic and hydrophobic character; excellent active solvency andcoupling properties. Butyl CELLOSOLVE™ is a very versatile solvent product with agood balance of many different properties . Coalescent for industrial water-based coatings. Coupling agent for architectural water-borne coatings. Coupling agent and solvent in household and industrial cleaners, rustremovers, hard surface cleaners, and disinfectants. 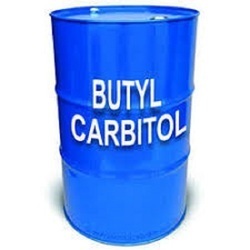 Butyl Carbitol is a slow-evaporating, hydrophilic glycol ether with excellent coalescing and coupling power. It can be used in combination with Butyl Cellosolve glycol ether to lower the evaporation rate and increase the hydrophobicity of the solvent package. 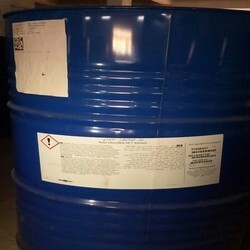 In addition, Butyl Carbitol glycol ether offers 100% water solubility. Looking for Dow Chemicals - Solvents ?